Some of you may know Dan from the forums, our annual car show or another AmericanMuscle hosted event. While Dan is always tinkering in the garage and it’s nearly impossible to keep him away from a wrench, he hasn’t dug this deep into a project since building his naturally aspirated Mach 1. Fortunately, the allure of the new 5.0L Coyote motor and crisp, clean styling of the 2011+ GTs was too much pressure. Say hello to Dan’s new 2011 GT with a miniscule 2,100 miles on the odometer. Dan says his current goal for the car is to break into the 11 second quarter mile range with simple bolt-ons and a tune. He’s since achieved that AND put down over 400rwhp. 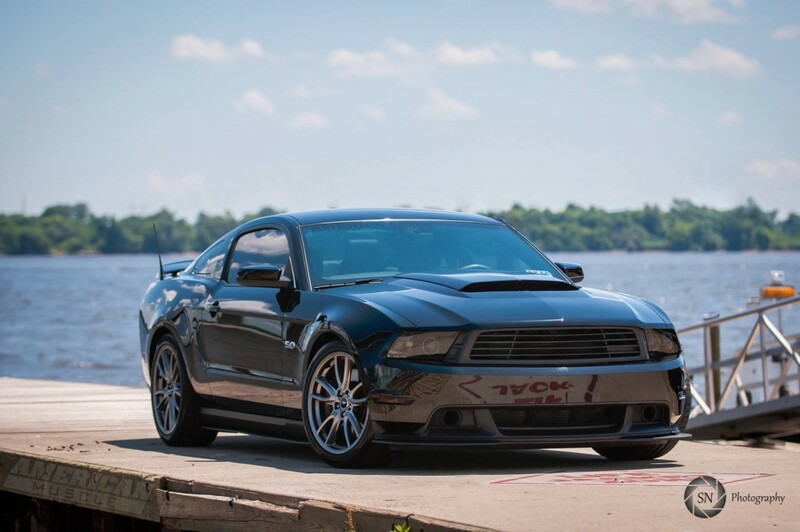 It’s time to reiterate how much power the 5.0L Coyote motor can make with a few bolt-on mods and a custom Bama tune. This 2011 GT is now poised to receive a set of Comp Cam’s Stage 3 camshafts with new lifters, retainers, phasers, springs and oil pump gears. The plan is to have the car pushing over 500rwhp after cams, some top-end motor work and a retune. New oil pump gears will be added for piece of mind as the stock ones can jump around if you happen to miss a gear or smack the rev limiter. The Coyote motor loves a set of aftermarket cams and as such, the Comp Cam stage 3s should increase low /mid range torque and also be good for 35+rwhp up top. That’s a great boost for a car already making 400+HP at the wheels with only bolt-on mods. Where the #!&* was Stage 1? 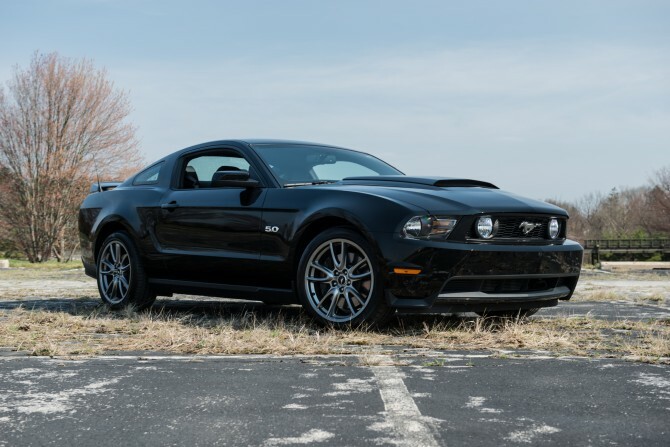 If you’re wondering why we’re posting stage 1 & 2 together, it’s because Dan has taken this formerly stock 2011 GT Premium from its factory trim and in less than three months transformed it into a sub 12 second, 400+ horsepower monster. The amount of work put into this thing could span over a year’s time for the average builder and be broken into at least three different stages, but we chose to label the progression so far as a mix of stage 1 & 2. The inspiring part lies in the careful panning behind this build and that he has performed all the work by hand in his own garage. If you count the list of mods he’s made so far, that’s almost a new part installed every three days! Where he finds the time, well, your guess is as good as mine. One thing is for sure–he’s not done yet. Comment below and let Dan know what power adder he should use for Stage 4–Should Dan go Turbo, a Centri or Roots blower, or perhaps a big ol’ shot of nitrous? A hat tip to Comp Cams and Airaid for helping get this build to where it is today. Dan has since made an 11 second 1/4 mile pass and installed Raxiom’s navigation system for those who want to follow his build. 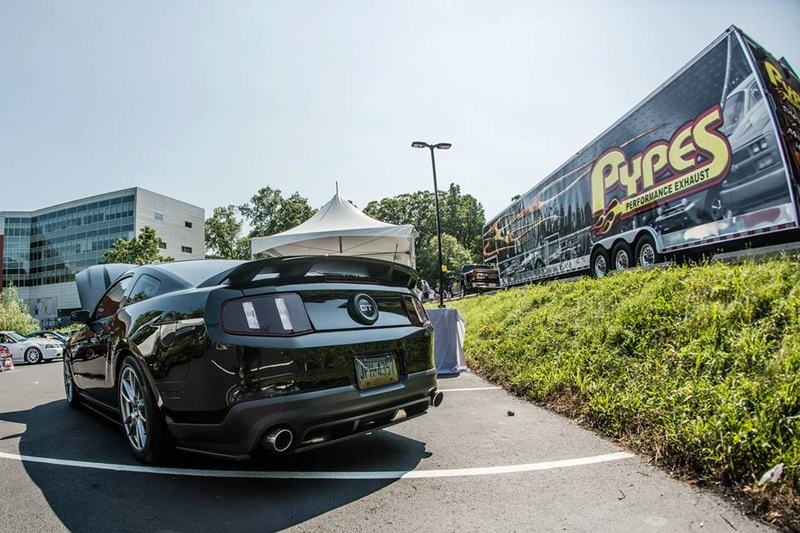 Previous Entry VIDEO: Vaughn Gittin Jr. at our Mustang Car Show This Weekend! So the stage 3 comp cams will increase hp by how much? i’ve seen some people complain about these doing nothing for their builds and this motor..NA builds anyways. how bad does the stage 3’s drop the driveablility? Hey man, check out my modified ’08 GT in the Ford Mustang Fans section posted August 5th and let me know what you think. I installed Comp Cams biggest Mutha Thumpr cams you can with stock heads along with other bolt-on mods. i have run all three setups.. currently driving an 07 shelby gt500, GOT RID OF THE 5.4 AND BLOWER, ADDED A FORGED 4.6 AND HELLION SINGLE TURBO KIT(5.4 has extreme side load when stroked not good as a daily driver AND racer)…GO WITH A TURBO, OR TURBOS!!! while my 4.6 is ONLY HALF YOUR ENGINE… (currently setup is a 62mm turbo making 482 rwhp on 7psi, stock internals)… if I can make 482hp on pump gas with a 4.6 @ 7psi….. IMAGINE THE HP YOULL MAKE WITH A FORGED COYOTE, AND A 76MM TURBO!!! I had the same mods including the FRPP 90mm TB and couldn’t get a proper tune from a reputable tuner. I had throttle hanging between shift issues and terrible driving manners. Does your car possess ANY ill manners AT ALL with this 90mm TB?????? What I want to see is how the Bosch will enhance the 2015 Mustang! I’m excited to see it and planning to get the Bosch Stage 3 next year 2015 or early 2016! Whipple 2.9 or 3.4 , with monoblade TB. Then pulley & OD balancer upgrade (10 or 15%) , JLT big CAI or something by Araid. What about tires ? Nitto’s 555Rs or 05Rs should help to get better times. For a stage 5 , new engine internals!